MDM alumni Craig Slagel and his company Leaping Coyote just launched RunGo, an iPhone app that provides turn-by-turn directions along popular running routes. RunGo is for runners who want to find different routes in their cities, travelers, and runners who are training and want to practice official race routes. RunGo is also for trail runners who can use the app to navigate through complex trails rather than using printed instructions or paper maps. I sat down with Craig and his dog Dynasty to chat about the app release. 1. Tell Us About Leaping Coyote and RunGo. I’ve been a runner for a long time and I’ve worked in the tech industry for 15 years so when I was designing RunGo, I wanted to combine my passions for both technology and running. I enjoy running with friends who can take me on new routes. I decided to build a virtual running partner to give everyone the freedom to discover new routes. 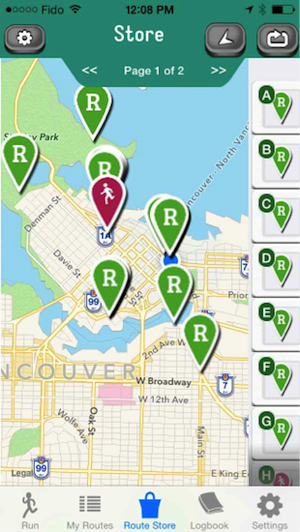 At Leaping Coyote, we first developed a basic running app, then a second version called 'Run With Us'. We took all of that knowledge and built RunGo to combine the elements of a GPS navigation and a virtual partner. The app tracks all the standard statistics such as calories burned, duration, etc., but it also tracks your route. Running with a map is really difficult, so the app will find the closest routes to you and then provide turn-by-turn directions through your headphones. Another key difference between RunGo and any other App on the market is the unique motivation system that we are working on for a future version. Other apps can give you encouragement at random, saying things like "Good job!" but you could just be standing there with a coffee. RunGo will use game technology to analyze your behaviour so that when you are going up a hill, it might say: "Great job on that hill!" or "Great job on your even pace!" The app will actually know what you're doing. It’s exciting because the GPS technology that we use for cars doesn't work for running, so we built the entire system for the navigation from ground-up. It’s brand new technology. My background is in computer graphics, games and teaching. I was at EA for 7 years where I built an internal training R+D department. After that, I started a consulting business and worked with Autodesk. I moved into visual effects and started working with Rhythm & Hues in tech animation. I then decided to go back to school and get a Masters Degree in Digital Media after 15 years of working in the industry. 3. What Made You Decide To Do a Masters in Digital Media? I know Glenn Entis who helped consult on the program before it existed. We discussed the MDM program and I felt it would be a great fit for me. I also love Vancouver, so it was a good excuse to move here permanently. The program is perfect for people who have worked in the industry, but who want to build up their skill set or try out new things—there is space to do that in the program. 4. What Were Your Impressions of MDM? I liked having the chance to push myself and try new things. In jobs, you can't just say: "I want to try doing something new," but in MDM, you can. I enjoyed the flexibility, the connections and friendships I made. I also liked the opportunity to do two internships, one at Microsoft and one at GameZone where I did mobile development. 5. Any Advice For Students Who Are Thinking of Applying To the Program? One: Be prepared to challenge yourself and try new things. This is hard for some people but if you take risks, you'll get much more out of the program. Two: Everyone should learn programming. It is like reading and writing now. When I was at EA, I had tasks that required me to do the same thing over and over again. So instead, I learnt to write a script that took me all weekend to finish. Now these tasks that would have taken 3 days each now only took 20 minutes. The script I wrote changed the entire project and enabled us to ship on time. It was a big deal because I was an artist who had built a tool that resulted in a massive increase in efficiency. Because of this, EA started teaching all of the artists to code and the artists learned that they could do the work faster without losing their creativity. 6. What’s Next For Leaping Coyote? We have many more ideas and features we’d like to add and want an Android version of the app (right now it’s only available in iOS). 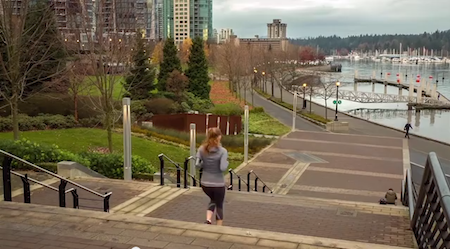 We are working with race directors to create branded routes like the BMO Vancouver Marathon or the Vancouver Sun Run. I also want to brand RunGo’s voice engine and have relevant sponsors such as coffee shop recommendations or even just water stops when you're close to those areas. 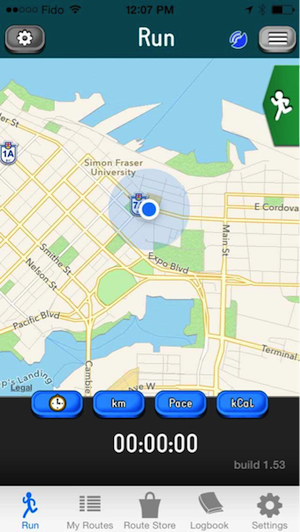 For example, have the app tell you to fill up on water at the Running Room that is near your next bathroom break. Ultimately, the app is about the experience of running and I think that these will add to the experience. You can download RunGo here. To learn more, follow RunGo on Twitter and Like them on Facebook.